Modules to avoid clipping and for investigation and measuring. Two inputs for sync and async signals. 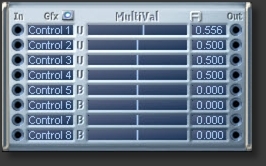 outputs integer w/ 10 decimal places, floating point and frequency conversions.